Think about the last time you were working on a new product, tool, or resource for your community. You probably looked through feedback that they had shared with you and compiled a list of all the needs they have. You created a “use case utopia” that you thought would be well-received by your community and internal stakeholders. As Jakkii Musgrave shares in this episode of Community Signal, use case utopias can be easily conceived, but not so easily implemented without the guidance of shared goals or a community manager to make sure that things are moving in the right direction. And related to the topic of conversation within the workplace, Jakkii gives her take on how GDPR (the EU’s General Data Protection Regulation) will impact the work of community professionals. If your community has members that are from the EU, make sure that you and your company are aware of how these new regulations may impact how you handle their data. And if you’re well-read on this topic, we’d love to have you on the show! If you enjoy our show, please know that it’s only possible with the generous support of our sponsors: Open Social and Structure3C. Jakkii Musgrave is a senior consultant for Ripple Effect Group, where she ensures a user-focus in the digital workplace and in online communities more broadly. Her professional experience spans a variety of industries in the public and private sectors, ranging from blue-chip multinationals to small and medium-sized businesses. Much of her work focuses on providing strategic direction and advice on the digital workplace, community management and engagement, and conducting user and landscape research to underpin recommendations. Before joining Ripple Effect Group, Jakkii worked as a community manager in employee, fan, and customer communities at organizations in Australia and Canada. Jakkii has presented at conferences, universities, and organizational development days on community management and the digital workplace. 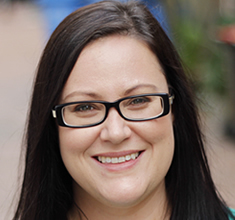 She writes for the Ripple Effect Group blog and has been published in the AITD magazine. [00:00:04] Announcer: You’re listening to Community Signal, the podcast for online community professionals. Sponsored by Open Social, community building for non-profits and Structure3C, expert community strategy for large organizations. 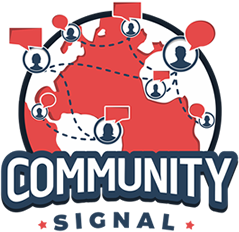 Tweet with @communitysignal as you listen. Here’s your host, Patrick O’Keefe. [00:00:27] Patrick O’Keefe: Hello and thank you for listening to Community Signal. I’m Patrick O’Keefe. On today’s show, we have Jakkii Musgrave. We’re focused on GDPR (General Data Protection Regulation) in the workplace, use case utopia and the importance of not just getting bottom up or top down buy-in but the middle as well. Before we get started, I’d like to thank our supporters on Patreon including Jules Standen, Rachel Medanic, and Joseph Ranallo. I’m so grateful for listeners who have stepped forward to say they value the show that much. It means a lot. If you like to join them and receive some perks for doing so’ please visit communitysignal.com/innercircle. Jakkii Musgrave’s expertise lies in community. With particular focus on digital workplace and user research and design. She has a special interest in collaboration and engagement and on ensuring a user focus in the digital workplace and in online communities more broadly. Her professional experience spans a variety of industries in the public and private sectors ranging from blue-chip multi-nationals to small and mid-sized businesses. Much of her work focuses on providing strategic direction and advice on the digital workplace, community management and engagement, and conducting user and landscape research to underpin recommendations. Prior to joining Ripple Effect Group, Jakkii worked as a community manager, an employee, fan and customer communities at organized nations in Australia and Canada. Jakkii has presented a conference at universities and organizational development days on community management in the digital workplace. She writes for the Ripple Effect Group blog and has been published in the AITV magazine. Jakkii welcome to the show. [00:01:49] Jakkii Musgrave: Hi Patrick, thanks for having me. [00:01:51] Patrick: It’s a pleasure. Since GDPR comes into effect this month. I have been looking for a guest for probably six months who was willing to come on to the show and speak authoritatively about it. Now you’re not that guest. A funny thing happened as I went about that search. No one wants to do it. Everyone seems to be in a sort of wait and see mode, to get a feel for how specifically and widely it will be enforced. Is that what you’re seeing or what are you seeing? Immediately like, “Oh you can unsubscribe me from all these things that I’ve too lazy to unsubscribe myself from. Definitely, from a community perspective, there’s a lot of uncertainty. I’ve worked mostly in the internal, employee community space, and there’s obviously different implications in the workplace then there is in terms of privacy that is affecting customer, fan, general brand communities that kind one of the thing. [00:03:54] Patrick: Yes, that’s interesting because as I think about, it I think about a lot of different communities, I think about, not just the corporate community that I think, especially the companies that have someone to pay an attorney or to do whatever they need to do but also the communities run by a few people. Even hobbyist communities. Communities run by small organizations that have a five-person staff and I just wonder about how that was weighed and what will happen with them? Speaking to your use case specifically, you touched on it and I know you work with clients in different countries but looking at the internal community side of it and the enterprise side and employee community really. What do you think the GDPR impact is on workplace apps that people have to use because they are employees versus consumer-facing apps, like big social networks or even hobbyist communities where people participate because they want to? Not saying that the employees don’t want to, it’s not always the case but certainly, it’s a lot more of a required in many cases for their job. For example, on April 4th Facebook made big changes to their APIs and basically cut a ton of developers off. But on May 1st, as you highlighted on the Ripple Effect Group website, Facebook announced a whole bunch of integrations for Workplace by Facebook. What’s the difference there? [00:05:03] Jakkii: I think one of the key differences is that, at least, again I’m probably not as familiar here so put that alongside for a moment, in a lot of other markets, generally speaking, you don’t really have a considered right to privacy in the same way in workplace. It’s this inferred, or sometimes explicitly in your contract depending on where you work, view that everything that you do within the workplace is always available to and the purview of and often owned by the company that you’re doing work for. The way that privacy applies in those instances is a little bit different. One of the things that I do understand that GDPR is going to have some impact on is around this and do you have the right to be forgotten? What does that mean in Workplace, in terms of, I don’t want you to retain any of my personal information, and where is the line drawn between what’s personal information and what’s IP, what’s work, what’s things that you participated in that actually have value to the business. Online community inside the organization, even though we might have to use them, not everything that takes place in there is actually necessarily 100% work. Even though I’m a big supporter of the idea of non-work groups of interest and things like the running group, and the cycling group, and the cat pictures group because they helped build relationships and helped people developed social cohesion within the organization. None of those are specifically necessary for the organization to keep. Then, the question starts to become how do you distill, and how do you wade through those. Do they, by the nature of being posted by you on your company digital workplace or ESN or collaboration platform, whatever it might be. Just that choice that you’ve made then negate the need to delete it, or if it’s not explicitly work-related, is there a need to be able to go through and selectively delete things. I don’t think those questions have really been answered. I know some of the features that, I don’t know the detail of the features, but some of the things that, some of the platforms like Jive are looking at doing is implementing some ability to manage the GDPR requirements. In terms of what that means saying it’s really market in Australian workplace. Typically here, there’s a general view that your workplace can read your emails so you don’t really– considering that you have privacy in a way that we might think about it, the parts of our lives. I think Facebook versus Workplace is a really interesting dichotomy just because not only have we, obviously, seen all of this trauma around Facebook and their data and Cambridge Analytica, but with Workplace, it’s a fundamentally different platform, but, at the same time, what’s interesting is that it’s this sense that, well, because it’s more secure, and it’s enterprise, I guess that, therefore, it’s trustworthy despite the fact that this is ongoing conversation about with the Facebook as the company, is actually trustworthy. There’s some interesting things to think through, I think, as organizations about how your data is stored and who’s in control of that. As much as they, I don’t need to imply that Workplace is doing anything dodgy because as far as I know, they’re not, but I think that trust element is a really important part of privacy just generally. If you can’t trust the organization that’s holding your data, is it really such a good idea to be giving it to them? [00:08:27] Patrick: Yes, it’s the same people. It’s same people. It’s just you put a hat on. You’re still the same person, you’re just wearing a hat now. That’s basically what’s happening here. [00:9:42] Patrick: Let’s take a moment to talk about our great sponsor, Open Social. I have noticed that there is, I don’t know if it’s widespread, but it’s fairly consistent in the community space, a distrust, a healthy reason to distrust in Facebook. I have it myself. For all sorts of reasons, I don’t dislike Facebook, and I don’t dislike Mark Zuckerberg. It’s not a personal thing. I don’t dislike anything. I use Facebook as a human being, but as a community platform, you talked about this on your LinkedIn blog about their community announcement last year, which I feel the same way about. It’s just a bunch of nonsense and little– I don’t even know what those are, they’re not really features. It’s still forum software in the ’90s. There’s nothing there. It’s not a platform. Anyway, it’s so awful. I feel like a generation of community is going to disappear. We have lost a generation of online community to Facebook. From 2012 to 20, 18, 19, 28 years of a lot of massive online community contributions are going be gone within a walled garden that is not going to be indexed by search engines, that is going to be less valuable, that goes away with the platform because even if they offer a download one day which they won’t because it’s too tied into everything that people are scared about with Facebook. You’re not going to allow the community owner or manager a download. They might allow individual users to download their individual posts but this idea of community moving from a Facebook group to some different platform, is not happening without leaving all your data behind. That data is gone whereas communities in the past, before that in the ’80s, ’90s, 2000s, early 2010s, I mean some communities now but less so, that data survived platform change. It survived software, it lived beyond, people wrote converters. Once upon a time you can get from phpBB no matter how much you liked it or disliked it to any software because every software had an importer for phpBB. It was almost like an open format in some sense because you could just have that database in phpBB and as long as you got it there it doesn’t matter what, anything would import an enterprise, open-source, $200 software like as XenForo or back-in-the-day vBulletin, I know they still exist, whatever, but it’s a different time and so if you don’t trust Facebook in that sense then it stands to reason that Workplace by Facebook is by the same people. On some level that just depends on how they value that internal information and the portability of it and those conversations or that essential intranet replacement essentially, how much they value that data and I guess at the time how Facebook pitches the people that actually decide how to spend the money, whether or not they understand those other issues very well. [00:11:43] Jakkii: Yes, definitely. I think one of the things that’s I guess to be a little bit fair to Workplace is most of the vendors in this space haven’t really given a great deal of consideration to how you migrate data from their platform because they don’t want you to leave. Sometimes it’s not even just about like leaving, sometimes it’s about like you’re migrating from one particularly old version to a newer version, so you have an on-premise or something like that where it’s not rolling updates in the cloud, then even those can be really difficult. It’s not even necessarily migrating data from one vendor to another even upgrading. I’ve seen that before with clients who had an on-premise version, it’s been hanging around for a long time, decide to move to the cloud version and it’s literally like, “How are we going to get this out? We either have to build our own migration tool to get it out,” or it’s what I’ve seen in [laughs] other organizations I’ve worked in before, which is paying people to sit there and copy and paste content out of a site and into another one because it’s the only way that you can get it out. It’s not ideal. [00:12:41] Patrick: [laughs] It’s fun. It’s like copying the Bible or something. It’s like they got to get the printing press out. These are legitimate concerns because we see these issues come up again and again. I think I talked about this with Maggie McGary when she was on this show but I mean Jive is a perfect example, like Jive-n and Jive-x. People invested in Jive with the idea that those things would coexist but now they’ve split off. Jive-x is at Lithium, as long as Lithium wants to support Jive-x it will be a thing but that’s has a finite lifespan. Then Jive-n is at Jive which is now Aurea, which is now ESW Capital Group. There is this thing that happens and I think on our side, on the professional side, I think the real consequence is that no matter who makes the decision on budget, our professions can be at stake and jobs can be lost and livelihoods can be lost because you invest a lot in a platform and then a year or two down the road that platform is split into this section or that section or didn’t work out and so they move on but the organization still stuck with the investment and that sometimes unfairly isn’t it sit on the head of us. [00:13:37] Jakkii: Yes definitely. Absolutely true. I think with vendors and when you mentioned Jive it also made me think similarly with Yammer, when it was bought by Microsoft. One of the things that’s quite interesting about some of these companies when they’re absorbed by a different, sometimes larger not always company that aren’t necessarily social in the same way. Yammer and Jive share this same idea where they originated way back in the day with people who were passionately social and really believed in these platforms as enablers or changing how we work within organizations. It’s not that these companies that have bought them don’t believe that. They obviously do, that’s part of why they’ve invested in them but often what we see is that they don’t necessarily work in the same way. With Yammer, when they went to Microsoft that sort of kicked along and stayed Yammer as Yammer for quite some time until eventually Microsoft went, “Well, now we’re going to properly absorb you.” Certainly in our market they’ve gotten rid of the Yammer CSMs and they changed and got rid of the Yammer Community Network which was a really active place, where not only customers would talk to each other and learning from one another and sharing and being a community, but also Yammer people themselves were also really heavily involved. There was a really good opportunity to learn from each other both as vendor and customer. Although sometimes these vendors like Jive, similarly with Aurea, they’re not really used to working this way as far as we can tell. They’re learning, I can see in their job network that Aurea works customer network. That they do jump in and they’ll answer questions and things. You can see this gap between community activities feel are an issue of the platform, not only because they pay for it but also because of the communities that have developed around other customers and within the organization and that change between ownership of the platform, can have quite a negative impact on customers just by virtue of no longer feeling like you are being heard or that you are having the same level of a say that you did before. I think that can be a real trap for some of the vendors certainly over the years that we’ve seen most changes go through as well. [00:15:44] Patrick: Sticking with privacy, you told me before this show that earlier this week you were reading some tweets by Rachel Happe who said that privacy basically doesn’t apply to community in the same way that it might apply to other digital services or platforms like Facebook. Talk about that a little bit. [00:16:00] Jakkii: Yes. The point that was being made on Twitter really is that community in and of itself should be opt-in. Now, if you’re choosing to participate in a fan forum around some favorite TV show or something like that, that’s an opt-in you aren’t just subscribed by someone else to that platform and you’re not being forced to participate. If you choose to participate then you’ve not negated your right to privacy per se, but you have explicitly chosen to participate under whatever guidelines and structures might exist around that. Whereas on social media and Twitter and particularly on Facebook as well where people can be added to groups without their permission, as well as going back to what we touched on earlier around Facebook and the Cambridge Analytica stuff where actually people that you are friends with on Facebook can opt you in to having your data shared with something on your behalf. You’re not even explicitly agreeing to share this data that’s being shared by someone else on your behalf. Between that and being added to groups and things like that, where you’re not explicitly opting in to having your data shared with either the group of people that are in that network or with the company or worse still third parties after that. I think that explicit opt-in is really an important part of ownership of data as well as the people’s ability to actually take some control over what privacy means to them. I think ultimately we’re at a point where I think in some regards quite young people seem to be better aware or better equipped for managing their online privacy than people who are middle-aged, whatever you have to call them. I always get the generations confused, millennials, which are Oldest are in their mid 30s. Because it’s this hybrid grew up with the internet where it was this wondrous, amazing thing that let you connect with all these people and get access to all this information. Facebook originally was for students, and all of those kinds of things that made it seem like this great place and you didn’t really need to think anything more about how might they use your data. Whereas I think the generation below us, whatever they decided to call them, Gen Z, they have grown up more in an area where it’s ubiquitous that the Internet just exists. But it’s not always necessarily a positive. They don’t want their parents to be able to see what they’re doing. They have to manage cyberbullying and all those kinds of things that lead them to do things like creating fake profiles or having public Instagram profiles while they have a private one that they actually just share photos of each other looking miserable with their friends. Those ones aren’t the public face of themselves but that’s how they’re managing their own image and as well as their privacy. I think they’re a little bit more sophisticated without necessarily having given it any particular consideration about what it means to put information out in the public space, which I think is really interesting. It’s more how do we stop Facebook doing this again. It’s kind of this, it’s been done to us but that we have no control over it, which I’m not sure is really true. I think we have the ability to, a, get in and change our privacy settings, but also really be educating people a little bit more and stopping me thinking about from an individual perspective, what does privacy mean to me? What does data mean to me and how can we collectively get our politicians and whoever else we need to get involved in these things to really start thinking about ownership of data and how we can take control back from these companies. Just give them all this information about ourselves, it’s really valuable but it’s our data, it should be valuable to us and yet we kind of just give it away for free. [00:20:20] Patrick: Yes, there’s this phrase that’s known around for a long time “marketers ruin everything” and I wonder on some level again it’s not like I don’t dislike Facebook, I don’t dislike big companies but when you were talking about implications for community now the rules of different or people feel differently in different spaces. You have these rule paths ostensibly because of big social networks but when you, for example, you mentioned joining a community for a TV show. When you join any hosted community like that around a specific topic, usually you’re choosing to post in public and you’re posting conversations that include a variety of people in a conversation that has sequence. In this sequential conversation, one post replies to the next and the next post replies to the two before it and that one goes to the one here and this one goes to these five here. They’re very interconnected. The contributions have one person impact the value of the contributions of all. When you are in a conversation with other people, let’s say it’s 30 people participating and one person says I want all of my words removed. Well, theoretically the 29 other people their words are now without context and so their posts and contributions are worth less and so in some cases the meaning is devoid. There are different uses and it’s interesting to think about Facebook because Facebook is not that. it is very much core driven as a network around a person. I am a friend with you. I choose to subscribe to your updates. I’m opting into you as a person. I can easily opt out, un-friend, block you. But when you go to community spaces you’re not usually choosing to engage around a person. It’s around a topic, a profession, an interest, a goal, a problem and so the rules are very different in those shared spaces. Unfortunately, the companies that got biggest and as such impacted legislation that may hurt us all possibly, are the organizations who run platforms that are inherently different. From a legislative perspective, that data will be treated very similarly, so I think that ties into the privacy being different in different spaces. I think the collateral damage will be there and I know it’s not to say like I don’t see GDPR as a net positive. If I could get someone to come on the show and talk about it I might understand. But there’s often with things like this, legislation like this. There’s this collateral damage of well-meaning people that get thrown under that bus and I hope that doesn’t happen here in a meaningful way, although I fear that it will. [00:22:35] Jakkii: There are often unintended consequences to almost everything that we think is a good idea. I do agree. I think it’s a net positive but it doesn’t mean that there isn’t going to be I think collateral damage is the perfect way to describe it. That removal of context is a huge problem and you’re absolutely right. It’s kind of what I was alluding to, but your terminology feels much better, when I was talking about in an employee community where if it’s work-related and who owns the IP. It’s not just about that it is also the color and context that conversations have when they’re– how did you arrive at this decision or how did you end up on this version of the draft and that stuff that’s lost when other versions are being removed or conversations are being removed but it’s certainly also true in community that exists in the consumer space, in the community of practice, communities of interest. [00:23:24] Patrick: I want to pause the show here to tell you about our excellent sponsor, Structure3C. You mentioned to me that community management efforts at organizations get harmed by “use case utopia.” I don’t know if I’ve heard that phrase before. What’s use case utopia? [00:24:03] Jakkii: To be honest I don’t think I’ve heard that phrase before. [00:24:07] Patrick: It seems like a good one so I want to hear more about it. 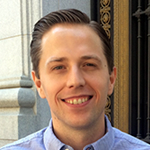 [00:24:08] Jakkii: How am I going to describe this…use case utopia. I mean in this sphere that I typically work in, that sort of collaboration digital workplace space, one of the things that most people, vendors and consultants in particular, always talking about and driving is this idea of use cases. Use cases are great. They’re really important. You need to understand what people are going to need to do so that you know whether or not you’ve got the tools to equip them to do their work. We kind of sell this idea that having a suite of use cases is this idea of use case utopia. That’s all you need. Then all of a sudden everyone’s just going to use the platform that you’ve selected and that’s it there’s not going to be any more shadow IT, there’s not going to be any more concerns about adoption or engagement. You just need this bank of use cases and that’s the end of it. That’s really a little bit of a narrow view, I think. It completely– I guess overlooks or skates over how important the role of community management is in terms of getting people to understand the shared purpose around the platform that it’s not just there to support you in your small team doing your work, but it also has a shared purpose more broadly across the entire organization in terms of getting people to understand influence, connecting people to one another, and to information and helping other people learn to be community managers themselves. Whether that’s community managing an actual group on the platform or just developing some of these skills that you need to more effectively navigate a digital workplace. We’re lacking in broad sweep digital capabilities on the whole, I think. There’s some people that talk about digital literacy and in our organization we talk about digital capabilities rather than digital literacy. That idea of literacy fits up into a bigger bucket, where it’s not actually just about in the workplace, we need these skills in our daily life, but certainly in the workplace you need skills like network literacy, how do you build networks, how do you interact within a network. We need information literacy, how do we filter through all of the content and all of the information that’s available to us, again in our lives and also in a digital workplace is how do we find what it is we’re looking for. How do we cut through the noise and find the signal, how do we curate content and right down to some of those more core community management skills which are about influence and connection and all of those do you see good topics that we love to discuss and work in as community managers. Most people don’t realize that those skills are imperative skills as we continue to move forward in these more digital dispersed offices. In our workplace, we don’t have an office anymore. We are in a co-working space, mostly work from home, and we’re not super unique. There’s lots of organizations, certainly in Australia, that have moved to activity-based working where you can choose where to work, whether that’s from a hot desk or in a quiet space, work from your cafe somewhere, work from home whatever suits the tasks that you need to get done. We implement these things in an organization but we don’t necessarily focus on how we assess and develop the capabilities that people need to be successful within those workplaces. [00:27:23] Patrick: It’s hard to be successful when a lot of people are jockeying over a single thing. Then you do 10 things and there’s no focus to it and so those 10 things for a day or two but then the 10 things don’t get any momentum, where you should have focused on one or two things and really done that really well and really drove that conversation whether it’s an employee conversation or a public community. With public communities it’s easy to give the example of say, “We have a forum where we have discussions. We have a calendar. We have a gallery. We have a chat room. We have a blog.” That’s five things and so people can come up with more. We do all these things and all these things don’t work because people are spread out and when things start you need one thing or two thing to go really well so that you can one day go on to that third or fourth thing but I’m sure that happens internally as well. [00:28:32] Jakkii: Yes, it definitely does. That’s actually really a good way of describing, it’s a good analogy. [00:28:37] Patrick: Thanks and I want to be clear that Jakkii, as far as I’m concerned, coined a new phrase here because I just Googled with exact quotes “use case utopia” and there were zero results. So as far as I’m concerned I’m writing this down as the first use in our pre-show questionnaire and Jakkii’s coining of it as unique, so use case utopia. [00:28:53] Jakkii: I think it’s only because consultants don’t want to talk themselves out of a job. As I said before, use cases are important but just it’s not the be-all and end-all by any stretch. [00:29:12] Patrick: Also in our pre-show questionnaire you mentioned that the biggest challenge you’ve ever faced was, “To develop community in an organization that was largely hostile to the concept, including some of your direct and higher leaders. For every step forward there were 10 steps back. The worst part is that you can’t even say you were successful. You had some small wins but in the end, not only was the community management role, your job, eliminated but the organization didn’t move forward with its community efforts for a number of years. I’m actually not sure if they’ve made any progress still.” Quoting you there. Talk about that. [00:29:42] Patrick: What did you learn from that situation? [00:29:44] Jakkii: That was really tough, to be honest. I was really excited when I took on that job. I think some of the biggest things that I learned from that first of all, that internal politics can be a minefield. I’m sure there’s plenty of other people who could speak with more authority on that than I. It was the first organization where I’d really seen how bad it could be. Partly because I was in a more senior position. I wasn’t as shielded from it by my direct managers and things like that. What was interesting about it is that the reason why they were going down this path was because the most senior person in the company, the equivalent to a CEO, was adamant that this was the path they needed to go down because they’ve done it somewhere else. This person had done it in another organization and that’s fine, except that all of the people in that middle management area underneath the CEO were only paying this service with the idea that it had to be done. They were literally only going down the path of implementing a platform and hiring someone to manage it because of that top-level directive. Then on top of that actually, in talking to people at the call phase, the people on the ground, the bottom up if you like, they weren’t that invested in the platform because they couldn’t really understand the value to them. They also felt that they would see a lot of hindrance to, oversight to their efforts and which I actually saw one example of. I can’t remember the context in terms of why it had been posted but, a couple of people had started having a bit of a conversation between themselves on the comments and there was nothing inherently wrong with what they were saying but it wasn’t particularly work-related. They made these silly comments and next thing you know there’s all these managers contacting me and saying we need to delete this. We need to go and have a conversation with these people. We might need to bring in HR. It’s not like they were swearing, they weren’t calling out people. I think they were talking about mosquitos or something completely innocuous. This fear that people might have a voice and might suddenly start talking about things that weren’t the narrative that management wanted to discuss, was really to me, the biggest driver. Overall, one of the things that that really demonstrated to me is something that I hear other people in our space, particularly in the internal space, talk about, which is that your internal or your online community will reveal your culture. You can’t use it to change your culture, it will reveal it. It really showed some real toxicity in that culture, where it was very hierarchical. There’s nothing wrong with that necessarily, except for where that’s used for power play to keep people in their place. I think actually one of the things that I probably wouldn’t normally say that it taught me, is that maybe community isn’t for everyone at every time. They were absolutely not ready for it and really needed some proper cultural change before they should go back down the path of trying to get their employees to operate in an online environment. It’s hard to accept that you go in to something with all of this kind of optimism, that I’m going to do a great job and roll out something really exciting and make some great changes and to have to walk away and be like, I didn’t actually impact them pretty much at all or they’re really really tough thing to deal with personally. [00:33:55] Patrick: I appreciate you sharing the story. Yes, I mean I can see that. It’s funny because– Well it’s not funny, but it’s interesting because– It’s hilarious. [laughs] Your pain is my joy. [00:34:05] Patrick: Yes. No, I think that’s an interesting dichotomy between the CEO wanting to do something but the troops not wanting to do it and so it gets just enough resources to fail, is what ends up happening and then people aren’t ready to just give up a little bit of control and so they’re not willing to share a draft of something for fear of whatever. It really is politics like you said, like somebody over in this department can say, “Look at this sloppy thing they released”, right and say like, “Oh my goodness, look at that.” Really it’s the idea that you’re working to make it better. One thing that you mentioned to me before the show that you learned from this was the importance of getting buy-in in from the middle. [00:34:43] Patrick: You said there’s long been a monster of getting buy-in from the bottom up and the top down, but the truth isn’t easy or worth the truth is the middle has a lot of spinners they can throw in and the ability to completely derail your efforts. You said you learned that you really needed to spend more time listening and learning from that middle group, talk about that a little bit because it’s interesting to me. [00:35:04] Jakkii: It’s absolutely true. Definitely the digital workplace space that more so the ESN than the terminology of digital workplace. Over the last five or more years that idea that you need top-down down buy-in so that that would invest in a platform and say that it’s valuable and also bottom-up, so that people will actually participate. There’s often been a real lack of focus on that middle layer or middle management, the bigger the organization or the less well-structured the organization, the more of those people there are. Those people have not only the ability to throw those spinners into your works but they typically– in that kind of environment where they potentially going to cause a problem, making control the people that work for them. If they don’t want their team to participate on the platform, the team won’t be participating on the platform, because as soon as they do, it’s going to be seen and that manager is going to go and have a chat to them about how time wasting and that they should be focused whatever task they’ve been assigned to meet their KPIs or whatever it is. Bottom-up only works if you’ve got support from the middle or middle managers who were paying so little attention that they can do whatever they like and they just haven’t noticed. I think that middle level, also one of the reasons why they are typically being a little bit more often than you might like them to be, is around this fear, that it’s a fear of a number of things, lose of control, fear of loss power. Also this idea that what’s going to happen to my job if everyone has a voice? What does management mean if it doesn’t mean sitting down with a team member and assigning them tasks. Then measuring them on those tasks and reporting back around the KPIs and how our team’s been successful. Management traditionally has been all about that, it’s been about managing tasks and managing people. Micromanaging or not, that’s still the basis of management. Whereas in an organization that’s more democratic and people have a voice then Person A can post on their ASN or on their digital web-place platform and the CEO might see it and like it or respond to actual they might find someone else in a different area of the businesses that person and used skills we need, let’s get them on the recumbent. Whatever it is, that’s much more democratic than managers not involved in decision-making to, “This person’s got this talent and therefore they should go here.” That change can be experienced. We’re not necessarily equipping people in that middle layer for management or leadership of the future and what it means to be in a leadership position or management position when you’re trying to instill leadership qualities in everyone. Not everyone can be a leader, it’s not how it works, but people can have leadership qualities and you can certainly be a leader in your own little or small group whether that’s leading a project or around a piece of work and all that kind of stuff. If everyone can display leadership qualities and it’s democratic then this concern that’s the intersection of what does that mean for me. I think one of the things that successful community managers can do in organizations where they’re either not being very successful or just rolling out new platforms is to spend some time talking to them, understand their jobs, understand what it is that they do, what they want, what they worry about, what keeps them up at night and how are you and your platform and community can help them with those questions. I think overall organizations, this is little bit more broad than community managers, need to be focusing on leadership skills and management skills of the future. Which, again, it’s the Rachel Happe quote that, community management is the future of management. They need to learn some of these community managers skills. Then when you’ve got good experience, quality community managers in your organization, you should be tapping into them to understand how they can infiltrate or get those skills going up and uplifting that capability in other people because leaders of the future, if future workplaces, are more democratic, more open, more transparent and more about shared purpose then, this as highly relevant to knowledge work, but I think there’s also relevance to people who are working deskless jobs. There’s still tasks and things that have to be done at least until there’s more automation in some places. We can all have a shared purpose whether that’s around how we deliver customer service or how we put together or manufacture products and make them the best products that we can make. Whether it’s sitting at a desk and having creative time and thinking about how we solve big problems in the organization. Everyone has the ability to participate and contribute to an organization when you get those middle managers to let go of some of that sense of control and some of that sense of loss. [00:39:55] Patrick: It’s such a great point. Everybody has the opportunity to contribute when you get their bosses on board. Jakkii, thank you so much for being on the show. I’ve really enjoyed talking with you. [00:40:03] Jakkii: I have very much enjoyed talking to you. Thank you so much for inviting me. [00:40:06] Patrick: We have been talking with Jakkii Musgrave, senior consultant at Ripple Effect Group. That’s rippleffectgroup.com. Follow Jakkii on Twitter and Instagram @slybeer. That’s S-L-Y-B-E-E-R. For the transcript from this episode plus highlights and links that we mentioned, please visit communitysignal.com. Community Signal is produced by Karn Broad and Carol Benovic-Bradley is our editorial lead. Until next time.